It seems that, at long last, for the first time this year we can say goodbye to cold temperatures and the slightest chance of snow up in the Smoky Mountains and enjoy, for a time, the comfortable temperatures that Spring promises us can be here with full security. However, that time will still be pretty short, and June is known to get to the point quick with bringing Summer temperatures to the mountains. The upper 80s come pretty fast, and with it comes reasonably high humidity on most days and, not long after, the 90s. Just like how properties in the Smokies absolutely need working heat to not only be comfortable but physically safe for occupants and guests to stay inside, Summer absolutely demands you have working air conditioning for your house, cabin, office or any type of building you or others would have business in for a long period of time. Traffic is consistently high during this period, so whether you’re out walking or in vehicular transit, you run the risk of things like heat stroke, dehydration, and other things you surely don’t want to deal with as you get business done or come to take your vacation at your second property. 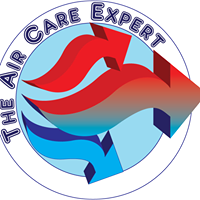 Before June rolls around, be sure to give me a call at 865-77409240 so we can take care of any problems that get between you and a wonderful, working air conditioner. Repair or installing a new unit, we can get it done for you!